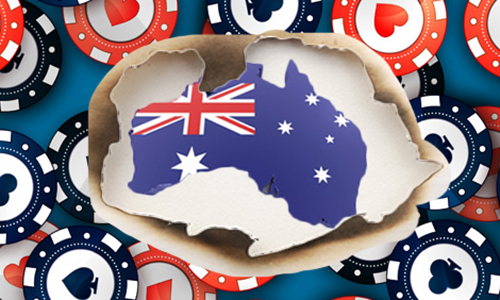 Might Australia’s online-poker community find a way to unring a legislative bell? A week after the country’s clampdown on all forms of online gambling except sports betting has gone into effect, Liberal Democratic Party Senator David Leyonhjelm continues his battle for an online-poker carveout. Leyonhjelm has now released a statement that an unspecified “coalition” within Australia’s government is now “favourably disposed” to the just-in-effect online-poker blackout. That preliminary work comes as the Senate still officially awaits the findings of an Australia Senate hearing conducted by Leyonhjelm which exposed many of the flaws and hypocrisy of the online-poker ban, enacted as a part of sweeping changes approved to Australia’s Interactive Gambling Amendment (IGA). Australia’s Senate, however, turned a quick thumbs-down to a poker-carveout amendment offered by Leyonhjelm before the updated IGA received its final approval last month. The Senate hearing report is still due next month, perhaps on October 18th, despite the overall passage of the bill without an online poker carveout. According to the Leyonhjelm / LDP statement, any reforms (re: possible carveout) would be contingent upon “party room approval,” meaning successful negotiations among several parties holding seats in Australia’s Senate. 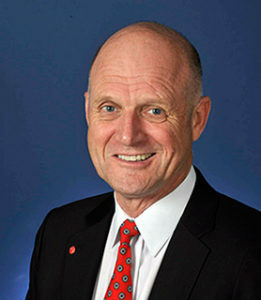 Leyonhjelm himself is the only seated Senator from the Liberal Democartic Party, meaning that any legislation he backs requires support from other factions to receive real consideration. However, Leyonhjelm has also stated that he has received support from Human Services Minister Alan Tudge. It was Tudge’s agency that was charged with implementing the changes called for in the earlier “Illegal Offshore Wagering Review.” Tudge has come in for quite a bit of heat from Australia’s pro-online gambling forces, though the ral force behind the changes, according to testimony and documentationn, was powerful anti-gambling Senator Nick Xenophon. Whether Leyonhjelm can overcome the entrenhed anti-gambling forces is the pivotal question. “I I believe we have won the ‘in-principle’ battle,” Leyonhjelm said. Added Leyonhjelm, “Gambling is largely a matter for the states, while communications and taxation are Commonwealth matters. I’m not sure ACMA is an appropriate regulatory agency and would like to see the Government consider something similar to the UK Gambling Commission, which appears to have a good understanding of the risks and benefits associated with online gambling.